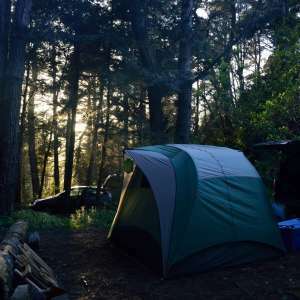 Camping at Redwoods by the Sea will not disappoint. 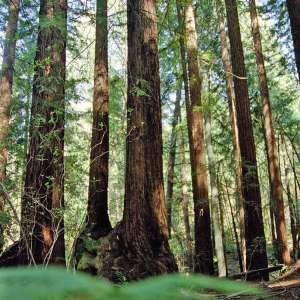 Beautiful redwoods combined with expanses of ferns and wild flowers results in an undeniable appreciation for the beauty and remoteness found here. Redwoods Site #1 can accommodate 1-2 tents. It’s private, has a hammock for afternoon sun, and is located near water and fire pit. 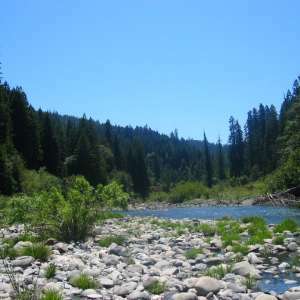 Redwoods Site #2 is very private and located on a short path alongside the little creek on our property. 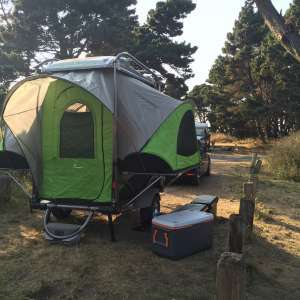 This site can accommadate one or two tents. Both sites share the community fire pit. Firewood is provided each evening. A Weber barbecue is available for your convenience, just bring charcoal. Our campsites are nestled amongst the redwoods just minutes away from beautiful Northern California beaches and the thriving arts environment in Mendocino. Fine art galleries, custom jewelers, master woodcarvers, lifestyle boutiques, two theater companies, annual film, music, and whale festivals, an annual cycle of art and craft fairs, culinary arts events and more animate this 21st century town. 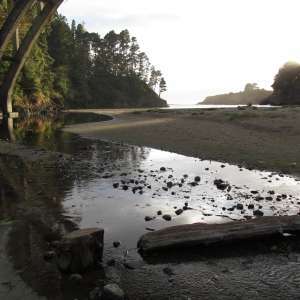 Visitors are drawn to the Mendocino Coast Botanical Gardens, Big River Lagoon, Mendocino Headlands, Van Damme State Park, Russian Gulch State Park, and many secluded coves and beaches. Don't be surprised to see the puff-of-smoke spouts of passing gray whales from the Mendocino headlands or Navarro Beach. The annual whale festival with its tours, whale watching, and special art exhibits takes place each March. 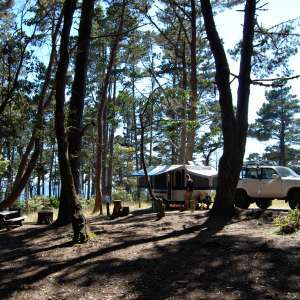 The Redwoods by the Sea campfire is shared by 2 campsites in a fire-safe area on our property. Complimentary evening firewood provided. Additional wood available to purchase. Campers have access to our pump house equipped with toilet and Sink. Complimentary KEURIG Coffee is available by the cup and by the pot. Enjoy!! Our outdoor shower with its unique decking and abundant green foliage takes outdoor showering to another level. Showers are available in the morning and evening. Please bring your own towels. Biodegradable soap is provided. Have a question? Send Sam & Marcy a message! 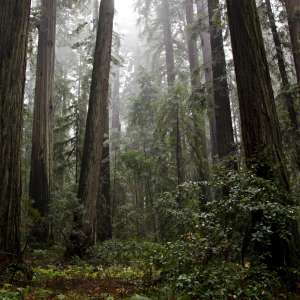 Natural features you'll find at Redwoods by the Sea in California. 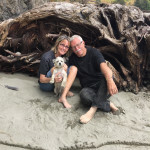 Sam & Marcy were more than wonderful hosts during our stay at Redwoods by the Sea. We unexpectedly arrived later than expected, and they stayed up just to greet us and direct us to the camp site in the dark. Their property is GORGEOUS! 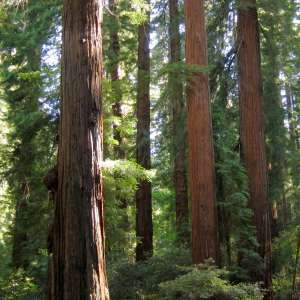 The towering redwoods surrounding the site makes it feel secluded and calming, while they amenities offered here (a lovely outhouse near the site, a beautiful deck next to a fireplace with camping chairs, and lovely hand carved works by Sam himself) make this a unique, not-to-miss place to stay. I HIGHLY recommend spending time here! Sam and Marcy are two real gems of folks you will meet in this lifetime. Not only did they share their beautiful oasis with us, it was a pleasure connecting with them on the important things in life. If you're lucky, you'll get to see some of the beautiful wood carvings Sam works on! 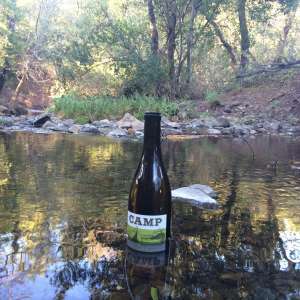 We enjoyed a most peaceful camp in their redwood grove, surrounded by beautiful landscaping Marcy clearly pours so much love into. The fire pit area is perfect to warm up next to and enjoy a cup of coffee provided! We will definitely be back! 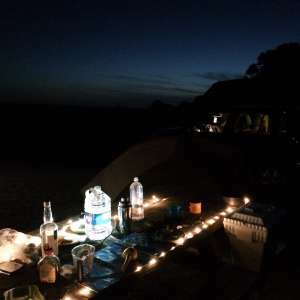 We loved Hosting you as our very first hipcampers, You made it so easy!! We look forward to your next visit to this beautiful Mendocino area!! Superb stay. Quiet and peaceful with thoughtful hospitality touches and great proximity to sights nearby. Would highly recommend to a friend! Cassie, you and your friends are welcome anytime! 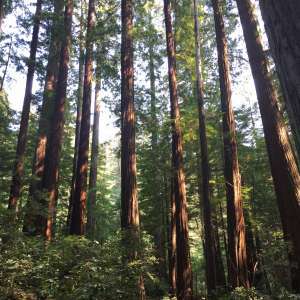 We love sharing the beauty of the redwood forest with campers like you. 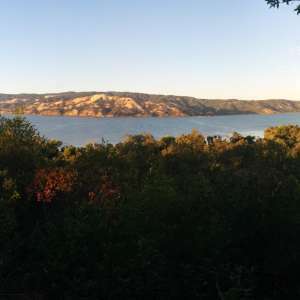 This is a prime site that highlights the beauty of Northern CA coast! Sam and Marcy are welcoming and accommodating. 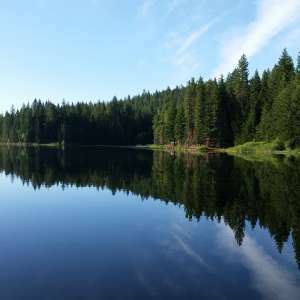 I’d recommend this site for a gorgeous weekend getaway. 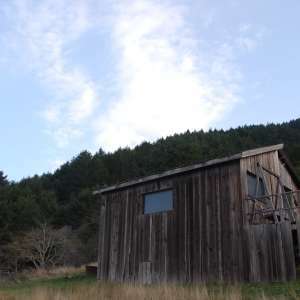 Sam and Marcy have a great property right off of Highway 1. The tree and foliage are amazing here! The communal area is great and Sam can set up a nice fire, and provide the wood! If you forget your coffee, they've got that covered as well. This place is so great! Really love the communal firepit but also the secluded location of our tent site couple minutes away under the red woods. Really close to the beach and some cool hiking places. Would love to come back! Thanks Ryan! We really enjoyed having you. SAM and Marcy. Lovely property, great community fire. The host was delightful. Wish we had another night, and more time to chat. Loved the beautiful location and Sam's hospitality. We had a great time! Ask Sam & Marcy a question! If you've fully explored and read the information on this listing page and still have questions, you can message Sam & Marcy here.